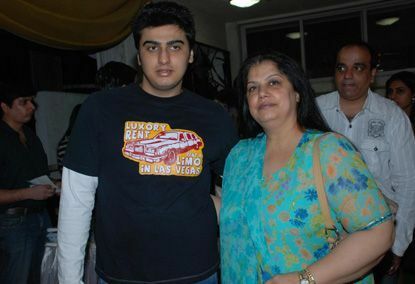 Arjun took on Twitter and wished his mother on her birthday. We all know that Arjun and his sister Anshula Kapoor were close to their mother Mona. She raised them as a single mother after Boney Kapoor moved in with his second wife actress Sridevi. Further, it was Mona’s dream to see her daughter Anshula graduate from her college in New York and her son Arjun to make his Bollywood debut. But just days before everything was to into place, Mona died as she breathe her last due to multiple organ failures after battling cancer. She breathed her last few days after she was diagnosed with the third stage of cancer just days before Arjun’s debut movie ‘Ishaqzaade’ released. Well, we are sure Arjun, your mother would have been proud of you with your journey in Bollywood as it was her dream to see you as an actor and you are doing pretty good for yourself. On the work front, Arjun will next be seen in director Dibakar Banerjee’s next ‘Sandeep aur Pinky Faraar’ which also stars Parineeti Chopra. The film is set to release on August 3 this year. The post Arjun Kapoor goes on a MISSING mode on his mom’s 54th birthday appeared first on Bollywood Bubble.